1-CD with 24-page booklet, 33 tracks. Playing time approx. 78 mns. 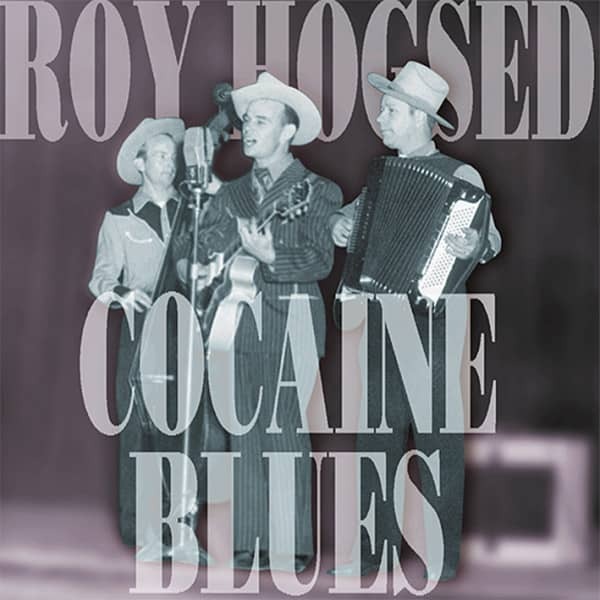 Roy Hogsed (1919-1978) forged one of the most original sounds in postwar country music, a tight and exciting small group sound that often anticipated the energy and drive of rockabilly and rock 'n' roll. He is best remembered for his hit version of the notorious Cocaine Blues and most identified with the accordion and guitar lead and slapped-bass rhythm of his original Rainbow Riders Trio. Ironically, however, some of his best work, like Snake Dance Boogie, Let Your Pendulum Swing and Ain't A Bump In The Road occurred in a looser, slightly larger band context. A good-time feel and infectious joy characterized his performances from start to finish. The Arkansas-born, San Diego-based Hogsed’s recording career was relatively brief, spanning 1947-54, and his greater impact may have been limited by his largely local orientation, but he left an uncommonly enjoyable legacy. Collected here is the cream of his recordings, from his first sides for Coast in 1947 through his 1949-54 Capitol tenure. 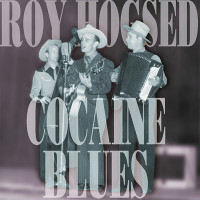 In addition to Cocaine Blues and the other songs mentioned above, there are classics like Free Samples, Shuffleboard Shuffle, Roll 'Em Dice, and a number of unissued sides, over 30 tracks in all. 20 Who Wrote That Letter To John? Merrill Moore on Roy Hogsed & The Rainbow Riders. Roy Hogsed was born in Flippin, Arkansas on December 24, 1919, the second of six children born to Harles and Vida Hogsed. Harles Hogsed was a country fiddler and banjo player and beginning in the early '30s taught all of his children musical instruments with the idea of forming a family band. Eldest Fleeta took up mandolin, Roy was taught guitar by his Uncle Clem, twins Florene and Lorene took up Hawaiian guitar and mandolin, respectively, brother Jasper Donald and their youngest daughter took up fiddle. The family "hillbilly string band and vaudeville act" began playing country dances and soon spread to schoolhouses, then later tour tent shows and fairs. In addition to music, the family act included, according to later Capitol publicity, "trick roping, tap dancing, knife and whip act, acrobatics and comedy act." "My daddy entered us into some old fiddler's contests, a lot of things like that,” sister Florene Hogsed Johnson recalls. "He didn't play with us after we started playing on our own. He let us make the living, as it was. They called us the 'Arkansas Hillbillies.' Everywhere we went -- we were so young, my youngest sister was five, my brother [Donald] was seven, the twins were 12 or 13 -- we were quite a novelty and always drew a crowd wherever we went. But it was a rough life for kids. "We traveled in what we'd call a house car -- not a motor home like they have now. It was a house car built on a long chassis Ford truck. It had bunk beds at each end and eight of us slept in there. Can you imagine that? That was fun times, though... At the time we thought it was terrible because we didn't get to do what we wanted to do, but looking back now, well we had a lot of fun and enjoyed it. But it was move, move, move from one place to another, and the children didn't like that too well." The family act began to disintegrate when Roy left home in the late '30s and eldest sister Fleeta married. The other four children were still in school. Florene recalls, "My daddy would keep us out of school quite a bit, but we had a private tutor that went with us some. She was a black lady and she traveled with us. We found out later, I guess she wasn't certified and our credits didn't count. So we fell behind.” While the other children went back to school, Roy Hogsed struck out on his own, driving a butane truck. Not long after, he met future wife, Willie Gilliam. They were married on May 21, 1940, in Flippin. Hogsed worked at various jobs over the next few years in Oklahoma and Texas, then served in the Navy for a year during World War II before being mustered out on a medical discharge. After the war, he worked for a few months with group called the Dixieland Troupers at WJDX in Jackson, Mississippi before heading to the West Coast, which was bustling from north to south, full of transplanted hillbillies -- Okies, Arkies, Texans, among others, who had brought their music, or at least their taste in it, with them and bolstered an already large native audience for honky-tonk, western swing and hillbilly. Hogsed settled in the San Diego area in 1946, where he briefly drove a bus before landing a job playing guitar and singing with Wayne Williams' Happy Cowboys. Before the year was out, Hogsed had formed his own trio, with bassist Casey Simmons and accordionist Jean Dewez. Simmons, who would later record with his own group on the L.A.-based Crystal label, dropped out in early 1947, and was replaced by 'Rusty' Nitz. The trio quickly developed a tight, propulsive dance sound. Dewez, born in 1917 in the Netherlands, had come to the US as a youth. A technically adept player, especially suited to more traditional material like polkas and marches, he was sometimes a stiff soloist and limited improviser but excelled as an accompanist. Richard Nitz, who was from Los Angeles (born in 1922), had to work far harder -- in a small drumless dance band that liked to jump than most bassists were required to -- but he was a swinging propulsive player up to the task. San Diego scene legend Merrill Moore, the western boogie pianist, recalls, "Rusty slapped that bass all night long. I don't know how he did it. Six hours a night, six days a week." Nitz had started out like Hogsed, playing guitar professionally as a child, before switching to sax ("They kicked me out of the school band when I wouldn't learn to read music," Nitz told a writer in the early '50s) and finally to bass. Contemporary publicity claimed that Nitz replaced Simmons in June 1947, but surviving musicians' union contracts show that Nitz was already on board when the band made its first recordings in May 1947 for the independent Coast label. Coast was one of the first and most prolific of the many labels that sprang up in the L.A. area at the end of World War II to take advantage of the majors' inability or lack of desire to adequately cover the booming musical scenes in areas like 'race' and hillbilly. The label had been recording such West Coast acts as Boots Faye & Idaho Call, the Plainsmen and others since 1945. It was owned (or co-owned) by Charles Washburn, who A&R'ed the sessions that Hogsed would cut over the next few months at Universal Recorders in Hollywood. Customer evaluation for "Cocaine Blues"